Cardiff is a relatively small city but as capital of Wales it has plenty going on! There's museums, many entertainment venues, a huge shopping centre and hundreds of bars and restaurants. In this section we'll give you an outline of how the city works. We think that the easiest way to find your way around a city is to choose a centre point and then divide the city into smaller districts. For Cardiff our centre point is St John's Church. From here you can get to anywhere in the city centre within ten minutes. We have divided Cardiff into four districts, and each district is divided into smaller chunks too. 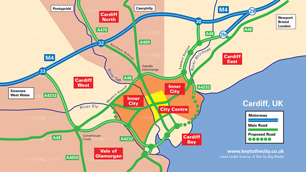 The areas are: the City Centre, compact with most of Cardiff's main attractions; Cardiff Bay, the city's leisure centre; the Inner City, popular for guest houses and home to Cardiff's students; and finally the Cardiff Suburbs, the outskirts of the city with good road access and ideal for business travellers. We now include the Vale of Glamorgan in our Cardiff listings for those who fancy travelling out a little further. This area is great for shopping and nights out. Parking is limited and can be very costly. At weekends (and weekdays during the university term), the city centre streets can be a noisy place with clubs open until 4am in the morning. The popular Cardiff Bay is the city's leisure area with a host of new developments including the Wales Millennium Centre and Mermaid Quay which is on the waterfront. It is about a 30 minutes walk south from the city centre. 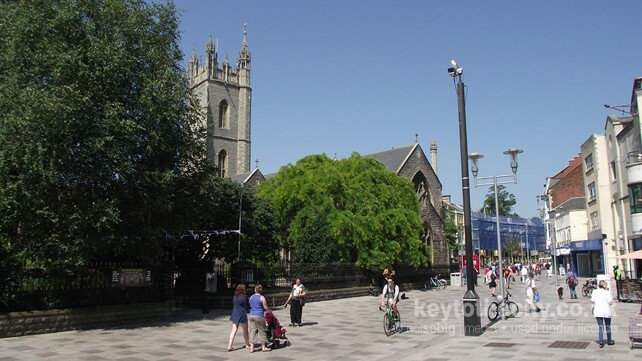 Just outside of the city centre is Cardiff's residential area. As well as the lively student areas of Cathays and Roath, you can also find Victorian guest houses in sleepy Pontcanna. The distance to the city centre from this area is a ten to 40 minutes walk. Areas in the suburbs of Cardiff include St Fagans, Culverhouse Cross and Llandaff in the west, Tongwynlais, Llanishen, Whitchurch in the north and Pentwyn in the west. Home to the most southerly point of Wales, the Vale of Glamorgan is only a few miles from Cardiff, so if you are planning on visiting the capital, why not venture a bit further and enjoy the stunning coast and countryside that's on offer. 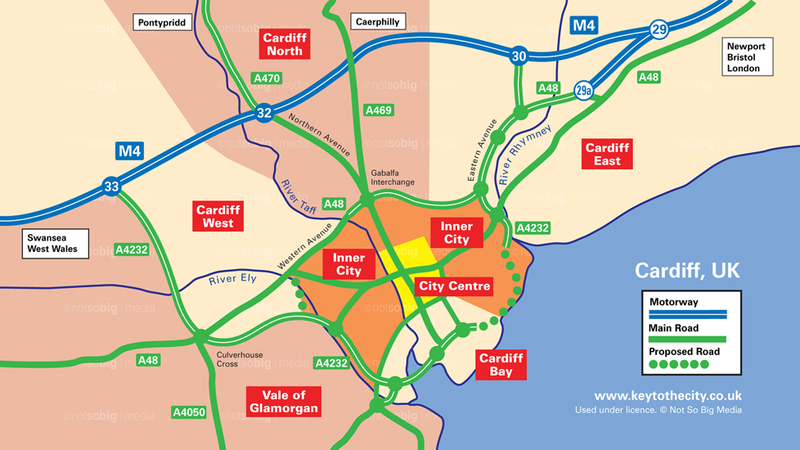 Map showing our centre point for Cardiff. Use the links below to view Cardiff on popular mapping websites.